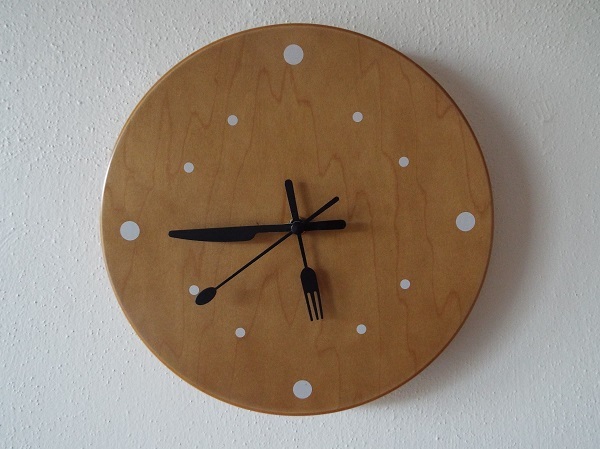 Wooden kitchen quartz clock with fun silverware looking hands. 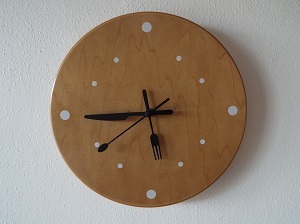 The hour hand is a fork, the minute hand is a knife and the second hand is a spoon. Uses "AA" battery. Measures 10" diameter.